As part of Nintendo's newly-released financial report, an up-to-date launch schedule of "primary" Nintendo products has been shared. The schedule shows the expected release windows for all major Nintendo-published games that have already been announced. 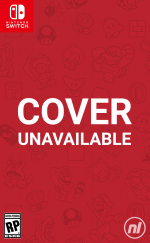 Aside from Metroid Prime 4, which Nintendo recently confirmed has been rather majorly delayed, the schedule shows that most games are still headed for their initial release window targets. While the list doesn't provide us with the exact dates that we so desperately want to hear for our favourite titles, and is largely made up of info we already knew, it's nice to have an updated confirmation that - as of right now - these windows are still very much intact. Naturally, those launch dates and titles are still technically subject to change, but we'd expect to see or hear more about them as the months pass by, hopefully alongiside some more specific timings. Which of these games are you most looking forward to? Tell us below. Just hook it into my veins!!! Shocked about fire emblem, game has been kept very much in the dark for a spring release date. Guess we will see. Interesting that Fire Emblem's still considered a spring release given at the moment we still know virtually nothing about it. I'd have figured it more of a post-E3 thing at this rate. So no new information..no details... why even post this? Everything on that list I am interested in. Almost entirely "definitely buying" with only Bayonetta and Dragon Quest Builders being "maybe"
What about Town? Wasn't that also confirmed for 2019? Regardless, I really want all of these games. But I'm getting fracking sick of not having release dates. I need something other than Smash, Nintendo! DAEMON X MACHINA, Animal Crossing and Marvel Ultimate Alliance 3 top my list. Christmas can't come soon enough. @electrolite77 This is why I thought we would get an ND first. FE is in 2-5 months, and we know very little. All those games could use a Direct really. Fire Emblem, Pokemon RPG and Luigis Mansion are all day one purchases for me. Marvel and Daemon X Machine are likely purchases. No interest in Animal Crossing or Yoshi. I'd imagine Animal Crossing will shift alot of switches though. animal crossing is definitely the one I want the most out of that list! I rather think that these financial reports are already prepared way in advance. In addition Nintendo is probably aware that once their report releases, the media will try to get any news from this. Nintendo probably rather want those news for a media efffective direct on their terms. I'm just happy Pokémon is coming out this year. Edit: I also like the look of DAEMON X MACHINA, this game looks very interesting, especially with the people who are making it. Please Nintendo can we have Xenoblade Chronicles X. It is the one WiiU remake I want as it was the only game on the system I never got to play as sold my WiiU beforehand. Yoshi, Daemon X Machina, Luigi's Mansion and Bayonetta 3 are definite buys, Fire Emblem probably, Animal Crossing and Marvel Ultimate Alliance maybe. I just hope this isn't our lot and Nintendo still have a big surprise for us this year. A new 2D Zelda would be superb.Also give us Mario Galaxy 1&2 Remastered while you're at it. @CupidStunt Xenoblade X port has been considered for a while now. But last time we heard, Monolith was still shaking an according greenlight and budget out of Nintendo. Granted, the sales of many other Wii U ports may be making this more likely by the month. So long as Animal Crossing is still on for this year that's all that matters to me! The waterfall of game announcements has certainly subsided a bit. That's very few games in development. I thought with the Switch replacing both home console and portable will increase the number of 1st party games... guess not. Nintendo, stop wasting time on your stability code and cardboard toy: get back to work! Good to see that Fire Emblem is to be released this year. Hopefully a 2D Metroid and/or a 2D Zelda is announced this year. 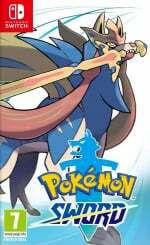 Pokémon “rpg” worries me a bit, does that hint it’s not a main entry and instead just a Pokémon Mystery Dungeon entry? Edit: thank you all for reassuring me Nintendo already confirmed this was a mainline title. Edit 2: is it only me or this years release schedule seems to lack punch? Sure, there is a mainline Pokémon there, but I feel for the mainstream that punch will be dampened by the release of Pikachu/Eevee. Nintendo needs more big punches, I felt Metroid was going to be it. The headline 'Nintendo reconfirms switch release window for Metroid' is TERRIBLY misleading and of shockingly poor journalistic standard. Protip Ryan; 'TBA' isn't a confirmed release window. If they had said '2022' now THAT would be a confirmed release window. 'TBA' isn't. Please edit the headline because it is very misleading and I came in here thinking Nintendo had actually confirmed some kind of vague release window for Metroid, which they haven't. Poor, clickbait journalism that is more belonging on Buzzfeed. Since the PROJECT GIANT ROBOT travesty I've been dead to these lists. If Fire Emblem, Luigi’s Mansion and Pokemon are out this year, I’ll almost certainly be getting a switch this November. The headline said "Dragon Quest" and I was hoping we were talking about the real one getting a Switch date... but no. 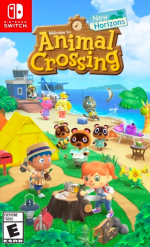 Only Animal Crossing will probably see me pay its full $80 price at release because that's a game I know all members of my family will enjoy playing for a long time, so even if pricey, will be somewhat worth it, I'm sure. the new Animal Crossing game better be worth the wait. of course then i rather have the new Luigi's Mansion game. 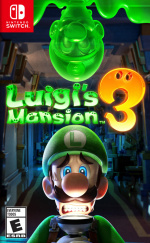 also hoping that it includes ports of the first two Luigi's Mansion games. Luigi's Mansion is a console game and not a Nintendo 3DS game. I misread that as "Windows release" and thought they were gonna start porting their games to Windows. @CupidStunt I would be so happy if they did that but i feel at this point it wont happen. I loved XC and XC2 but i never got around to playing X. I tried to play it again but the Wii U gamepad just feels so uncomfortable to hold for such a long time. I would buy it in a heart beat for Switch. Pokemon is probably the big holiday title this year. I hope they'll have at least one other big one then. None of the other games seem like they'd be big holiday releases. Then again we didn't know about Smash until halfway through the year. Can't wait for Animal Crossing. Only ever played the GameCube and I want to reignite the love for that game with a new entry. Hopefully it won't be tooooo different. I expect a Direct will shed light on most if not all of these before Yoshi is released. I'm hoping for some decent Pikmin news at that time too. What has happened to this website?! I'm just waiting for Streets of Rage 4. This pretty much reconfirms Bayonetta 3 for 2019. Also, a shame we have to learn of these release dates from financial reports instead of, you know, a Nintendo Direct. I’m getting them all except, maybe, Yoshi. What about Dragon Quest XI S, Final Fantasy VII & IX, Crystal Chronicles HD, Town, Shin Megami Tensei V, Resident Evil 4, Metroid 5, and Pikmin 4? @Rohanrocks88 because Nintendo published this information today, therefore it is the most up to date info. Quite simple really. Still hoping Animal Crossing can get a late summer release! Dunno why as you can play it year round obviously, but it's always kind of felt like a July/August game to me. So getting the Switch version released around then would be nice. @Tharsman No, it was confirmed as a mainline title at E3 2017. Bring on Animal Crossing! New Leaf is by far my most played 3DS game with something like 500-hours. This is what we know so any prediction on what surprises they'll show for E3, I think Pikmin 4 is a strong maybe as well as a new Mario Maker and possibly a top down Zelda title. Pokemon rpg and animal crossing for sure. I’m excited for all but 2 on here. 2019 is going to great for switch -ites... switchiopians... switchers... what are we switch people called nowadays anyway? Something I don't think very many people are considering at the moment (probably in part because we don't want it to be true) is the very real possibility that MP4 launches so far down the road that a (current) Switch version isn't even a thing. Meaning, it launches something like a year or two after the next iteration of the Switch. One thing I hope for is that the game development isn't hindered due to (current) Switch limitations and considerations, because we all know that this game is now destined to be release no time soon whatsoever. None of these titles really interest me a lot, but out of all of them, I have the lowest expectations for Fire Emblem: Three Houses (which is a terrible name). The only game that's probably coming out this year that I'm excited for is the Switch port of A Hat In Time, despited the fact that I already have the game for PC, but that version crashes quite a bit because I installed a bunch of mods. I love how they left Metroid on the list as a TBA after already saying it won't be any time soon..... That's an amazing list for 2019, considering that's just 1st party and one random 3rd party on the list, and is far from the complete roster (or any E3 surprises.) Let's not forget the full sweep of FF from FF7 to Crystal Chronicles through Zodiac Age. Prime 4 is obviously not coming in 2019. Bayo 3 might, though I'd bet 2020. I thought we’d get one before this week but not alongside the earnings release. I think their plans have had to change a bit with Metroid being delayed. Similar to how I reckon last years forecast was expecting Fire Emblem to be in this FY and Yoshi earlier. They may have decided to sacrifice this quarter and the 20 million target as they’re well on course for the most important target (profit). They might be knocking stuff back to fix a Metroid sized hole in early 2020. Doubling down on Pokemon, huh. That's a lot of E ticket titles then. Should be another good year. Can we have a direct now pls?! Luigi and maybe Bayo. Nintendo makes a small number of games, and unfortunately for me lately, they aren’t what I’m looking for. Where’s the next IP adventure game? It’s been 5 years since MK8. Where’s something like Diddy Kong racing? A new Wave Race? 1080? Pokémon, fire emblem and Animal crossing doesn’t do it for me. Full price ports aren’t for me. Too many great original games on other systems to play. Nintendo made expensive controllers but barely use the technology inside. Animal Crossing and Pokemon are day one buys. DQ Builders is a will buy at some point. 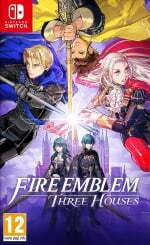 DxM and Fire Emblem are maybe buys. I’m really hype about daemon x machina and i dont know why. I just think its gonna be super fun for some reason. Animal Crossing plz k thx. No way... if they pulled a stunt like that, the backlash would be through the roof!!! Especially as they previously confirmed it as a main entry. @link3710 oh good, I was scared there for a minute! I'm kinda excited for most of that line up...but really I only cared about MP4, Bayonetta, and DAEMON X MACHINA. I might give Fire Emblem a chance and even Pokémon but we'll see. DAEMON X MACHINA looks very impressive as a new title, and I'm hoping they have some more surprises in store. Snipperclips and ARMS got me excited at lauch for new colorful IP. DS and Wii were both bursting at the seams with new quirky characters, worlds, and gameplay concepts, and I'm certain there's room for more than sequels on Switch. Yeah there's literally no new information here. We really need a Direct at this point. January is over, and we still don't really know what the schedule looks like for most of the year. @electrolite77 We'll if I'm right all eyes will be on the PS5 launch in early 2020 so Switch games won't matter. But as I'm usually wrong, yeah, take the profits and call it a win. No Direct in January is still a loss though for their fan support. Maybe nobody can guess the day but the month was practically a given. If the announce 1 tomorrow for next week that wouldn't be too bad, close enough, but failing that they should say something about an ND either way. It feels like there was supposed to be a direct but it got postponed or cancelled for one reason or another, maybe because Metroid Prime 4 development had to be restarted. With all these rumors, confirmations, games like Darksiders III being announced by a accident and then officially. Just seems weird but maybe because I have been hoping for a direct and waiting for a direct being announced that things like pirahna plant being released earlier than I thought just seem strange. Maybe it's just me. I definitely want Pokemon, Luigi's Mansion 3, Yoshi, and Fire Emblem. Bayonetta, Animal Crossing and Dragon Quest Builders 2 all get a "maybe". Dragon Quest XI should also be released this year. After it gets released in Japan localization is already done thanks to the PS4 version. Yoshi, Fire Emblem, Luigi and Dragon Quest Builders for me. Pokemon is maybe. From a first party point of view, I'm much more excited for the switch than last year. Frankly, there's a lot here for 2019. I'm not worried about Metroid's delay impacting people enjoying Nintendo Switch. Plus if this week is any indication, the Switch has a LOT of Nindie titles incoming. Plus, I wouldn't be surprised to hear about more 3rd party support either in standalone announcements throughout the year or at E3 in June. @gokev13 That mistaken announcement for Darksiders (which has not been confirmed) was for the remastered #1, not #3. Although there is speculation that #3 could get a Switch release. Where's WaveRace? Sad, depressed face. Where's Pikmin 4? Grumpy face. Where's F-zero? Angry face. Luigi's Mansion 3? yes baby yes! It's nice that a lot of those release windows haven't changed, but I'd like some DIRECT release dates for some of those games in the near future. We know very little about FE: Three Houses, which is still slated for spring. Maybe we'll get some more info DIRECTLY? Totally clickbait. No news whatsoever. @DoctorOverbuild we'll probably hear more when a nintendo direct is ready. To be honest I do still expect one to be coming, even with surprises to boot(I wouldn't be surprised if it was when Dragon Quest Builders 2, a yet unannounced game outside of such documents, would get confirmed alongside more Smash Bros DLC fighters reveals). This said I'm starting to suspect the reason the Direct is so late is not because of the surprises themselves but rather A surprise. 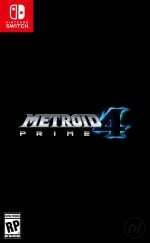 The one they can't showcase anymore: Metroid Prime 4. I do believe they still have plenty of things to showcase, including surprises, but if their original plans for the Direct was meant to include any notable segments to showcases even just talks of the progress on Metroid Prime 4... then the reboot of that game's development might as well have caused them to start producing the Direct from the ground up to make one without mention of Metroid Prime 4(except perhaps to confirm further it's rebooted development) and more focus on the other big games such as Fire Emblem which do remain as big of a series and may well be the first core FE game playable on a big screen again since the Wii era. Granted that depends on how Direct are organized in the first place but it does make me wonder if this year's first Direct's lateness might not be itself related to Metroid Prime 4 being rebooted from scratch. @EmmatheBest And people will keep saying it until the game releases. Despite the fact that Nintendo has proven time and time again in the Switch era that just because we haven't seen a lot of the game yet, doesn't mean it's not coming out when they say it is. Looking at the Fire Emblem series, Echoes wasn't even revealed until 4 months before it's Japanese release (5 for the west) and Fates was revealed around 5 months before it's release. I'm not saying it won't get a delay, but how about we stop writing games off completely just because we haven't gotten a direct. @Blitzenexx I'm starting to wonder if we weren't indeed supposed to get a Direct in January but issues with metroid prime 4's reboot might have caused them to produce the Direct from scratch as well if any MP4 they were planning to use is unavailable(due to it being scratched). On the other side this could mean a Direct with even more focus on the other big games like FE:Three House once it's ready to broadcast proper with all the announcements they want to make and a further blurb(instead of the originally planned early footage of in-dev concept art/etc or whatever they were planning to show and discuss) for those who may somehow have still missed the reboot of MP4 development. 7 exclusives revealed so far isn't too shabby, but I expect more to be revealed as the year goes on. For me, my most anticipated games are coming early with Yoshi and Fire Emblem. But either way, I think a direct would be nice. We know about quite a few games, but we have no idea when most of them will be released. I'm really excited about Fire Emblem, even though I couldn't get into the last one enough to motivate me to finish it. I loved Awakening though! @DoctorOverbuild Spring for Japanese companies' quarters goes into the middle of June. Excellent to hear that Fire Emblem is still on track this close to the release. @LoveEmpath Tier lists aren't dumb - tier lists just aren't applicable to MOST player levels. When you play high level gameplay tier lists matter. Even Zero says as much in his videos (play who's fun for you). Those lists are for the competitive community. I'm not any of those things, lol. @Ludovsky: Your speculation about the scrapped Direct is similar to my own thoughts, though I'm unsure if we would have seen much on MP4 even at this point (without a delay) besides a brief teaser or something. I suspect that we'll see a Direct in February at this point. Early March at the very latest. I first read this as "Animal Crossing is coming to Windows". So, we only have 1 confirmed date... We need a new direct soon. @LoveEmpath As someone already said, tier lists are mostly applied to high level gameplay with the help of tournament results. As of now, getting into Elite Smash with any characters with low usage is extremely easy. Most of the data that Sakurai has access now is not really that relevant since it consists mostly of not so-good players that get wrecked by K. Rool. That's why the last patch mostly addressed landing-hitstun lag. Sakurai will start to get useful info in some time, when Elite Smash status actually becomes harder to achieve. Who here thinks the Pokemon game is gonna make 2019? I'm skeptical, but I hope it does make 2019. I'm similarly skeptical about Animal Crossing Switch too. We'll see though. I think all the 2019 dated games really need to make it in 2019 or else it will be a rather lackluster first party offering on Switch this year imo. The thumbnail for this article made my day. I actually don't expect to hear a lot in January ever. After the holidays, I don't really want to hear much from any company about anythign they want to sell. I just want a nice, quite, productive start to my new year. Well, at least I don't have to start saving my pennies any time soon. There's three games on this list I'm interested. So AC and Daemon X Machina can both be assumed to be very late in the year, and Bayonetta 3 sometime before the heat death of the universe. Of course there are some third party games I'm looking forward to, so I'm not worried. Personally interested in all of those games. Another great year for the Switch but another rough year on the wallet. Can't wait for Animal Crossing and the new Pokemon, but until they come out, Stardew Valley and Pokemon: Lets Go are really great fillers for them. @MoonKnight7 True. Also we need new announcements for other franchises as not everyone likes those games. I do like Yoshi, Luigi's Mansion and Pokémon but I think we need a 2D game from either Zelda, Metroid or Donkey Kong. Calling it now. Retro's been working on Metroid Prime 4 all this time, the restart happened much further back then they want us to believe, and we'll get a trailer with a "JANUARY 2020" bomb at E3. @Blitzenexx personally I feel our would be exceptional if it was as late as early March. Yoshi Crafted World is already available for preload so you can bet there will be at least one mini-Direct before that fully releases in my opinion. 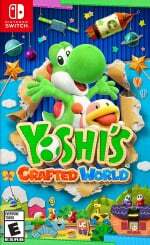 @tanasten yoshi's crafted world is already available for preload and thus likely coming very soon. Fire Emblem Three house just got confirmed in the documents as coming in Spring. Pokemon RPG is as flat out confirmed an holiday release. And that's not mentioning the rest that's likely unannounced. @Ludovsky: Agreed! I'd be more willing to bet something will surface in February. @Ninja84 Isn’t Bloodstained supposed to be (finally) out this year? I was really hoping Daemon X Machina would be a spring title, but giving projected titles I forsee it being a November release. Animal Crossing, Luigi's Mansion 3, Pokemon and Fire Emblem will probably be must haves for me this year. Why do you want to make me so poor Nintendo?! We're approaching the last of the WiiU's leftovers (botw, Animal Crossing and Mario Odyssey began life as WiiU games), and this upcoming wave of games will be games that began development as Switch titles. I can't wait to see the innovation that awaits us, considering how great even the WiiU library was. I see, in truth I am guilty of just breezing over the "Darksiders" headlines and I never actually clicked on the articles. Bayonetta 3 and the next gen Pokemon are the only ones I'm interested in purchasing. I never really cared for Fire Emblem, Animal Crossing, or any of the Mario games so they'll be passes for me. I'm more interested in Bayonetta because there's a rumor that Hideki Kamiya may be putting Dante in it. 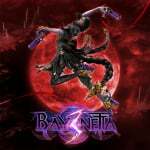 He apparently posted to Twitter asking about what version fans might want to see in Bayo 3. 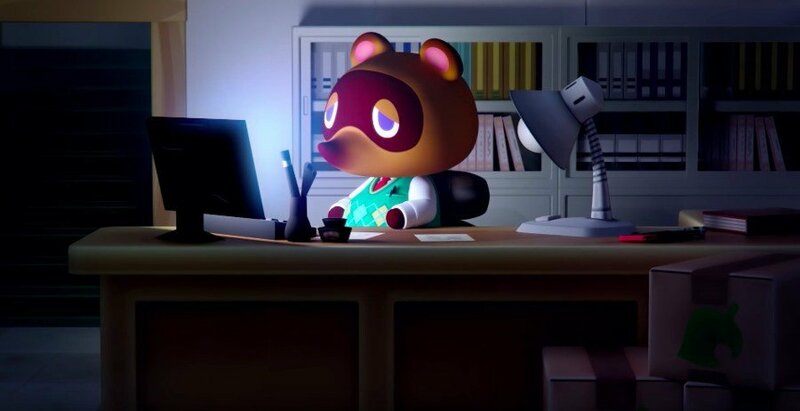 Would've liked a launch window for Daemon X Machina, Luigi's Mansion, and Animal Crossing. Even one as vague as "spring" would be nice. It seems like we already knew most of this if not all of it? I bet we’ll see Fire Emblem in May/ early June. Nothing for me. Maybe Animal Crossings if it's similar enough, in the right ways, to Stardew Valley. I know it's not the purpose of this financial report but what I really want to know if any third party games are being made for the Switch and what indie titles or old console ports are coming. My guess is they will announce a sequel to Xenoblade Chronicles X at E3. I agree with you. It’s time for Nintendo to get more devs under their wing. Yeesh, buncha kids wanting all the info right now. Did Nintendo ever confirm that Hey Pikmin is not the Pikmin 4 that miyamoto was talking about? That's good. I wonder if it is still an active project. @Antraxx777 Yeah i Think (hope) so..
@OorWullie If that ever happened, you can be sure they do a Twilight Princess/BOTW and release it on both the new and previous systems. I'm most excited for Bayonetta 3 and Animal Crossing (the reason I bought a Switch). Nintendo says what they want. They do what want. Nothing is ever their fault .They never lie. It's like the company is run by politicians. I wonder if they really are as sensitive as I think. Like they had one planned, saw that fake announcement going around on twitter which got the date and time right, and said "screw you, we're putting it on hold". If they have one within the next 2 weeks and it doesn't have a President's Day or Valentine's Day theme I'm really going to think it was planned for January and they withheld it simply b/c everyone expected one in January and they hate being predictable. @DoctorOverbuild There will definitely be a big FE direct soon. That is a title with enough to reveal to get it's own. It would be funny to see if it happens something like a week before/after a general direct. We all know we'd enjoy it. I hope Animal Crossing is sooner rather then later.